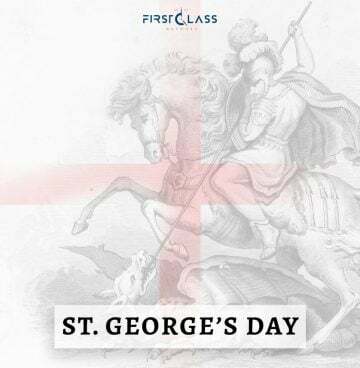 Victorinox Paracord – What’s the purpose and the uses? 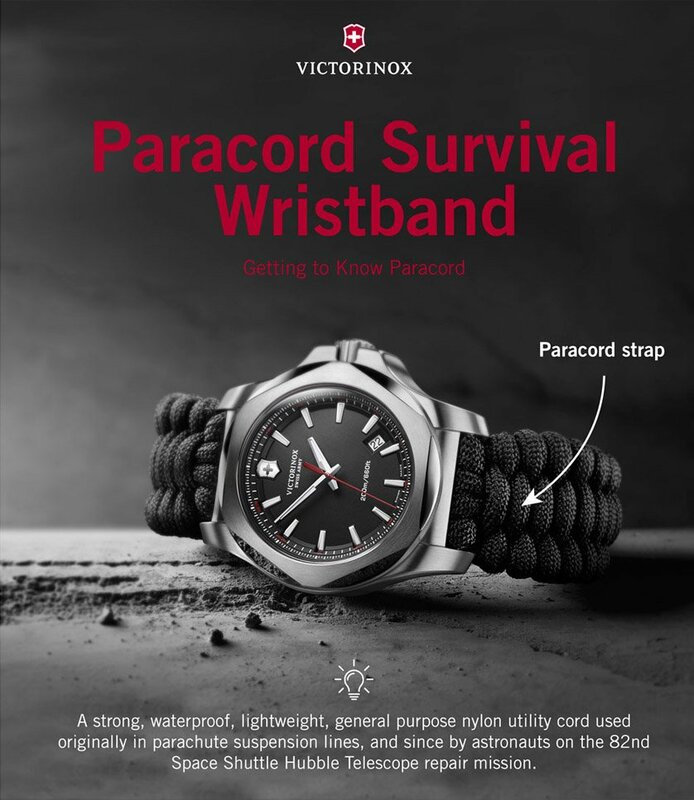 The Victorinox Paracord strap has become a prominent feature in many of the brands watches, especially from the I.N.O.X range, and is a very popular with those who enjoy adventuring and climbing, as part of their outdoors, robust watch, or for a unique look that isn’t available any where else! Paracord is a rope like material that is now considered to be an absolute essential as part of a survival kit. Originally used in the suspension of lines for parachutes, paracord is a lightweight nylon kernmantle rope, and is used for a number of tasks, and is considered as a general purpose utility cord by the military! The super-strong, durable material has a multitude of different uses, for all kinds of unique situations. We take a look at some of the most important uses, as stated by Victorinox themselves! And for even more survival tips based on watches, click here for out top 5! 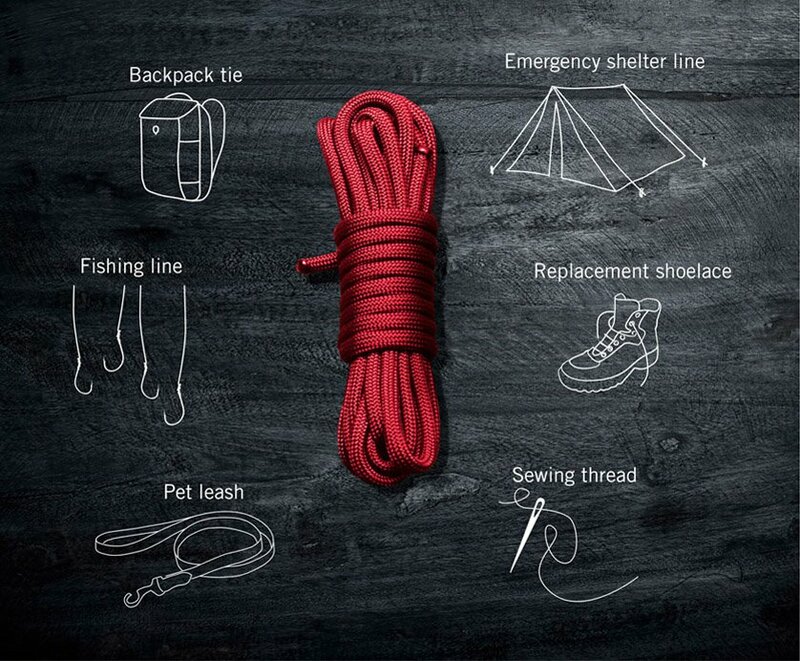 As provided by the brand themselves, Victorinox Paracord has multiple useful applications in the real world, including; Backpack ties for emergency situations to keep everything secure, shelter line when no other materials are available, this is the perfect option, fishing line if you are left with no food and need an efficient source, shoelaces in the event that one needs replacing, a pet leash for stopping your pet from walking themselves, and sewing thread in case your clothes need an emergency patch up! Paracord can also be used as a handy fire started, when out in the wild, the inner strands of the cord can be used to fashion a basic bow drill, which will then use friction to create embers, starting your fire! In case you own a Victorinox Paracord watch, or are interested in purchasing one, the strap used, which is of course, made from paracord, is not just aesthetic. If desired, you can remove the strap and untie in order to create a length of the material, which could be then used for any of the uses above, or whatever you can imagine to use it for! 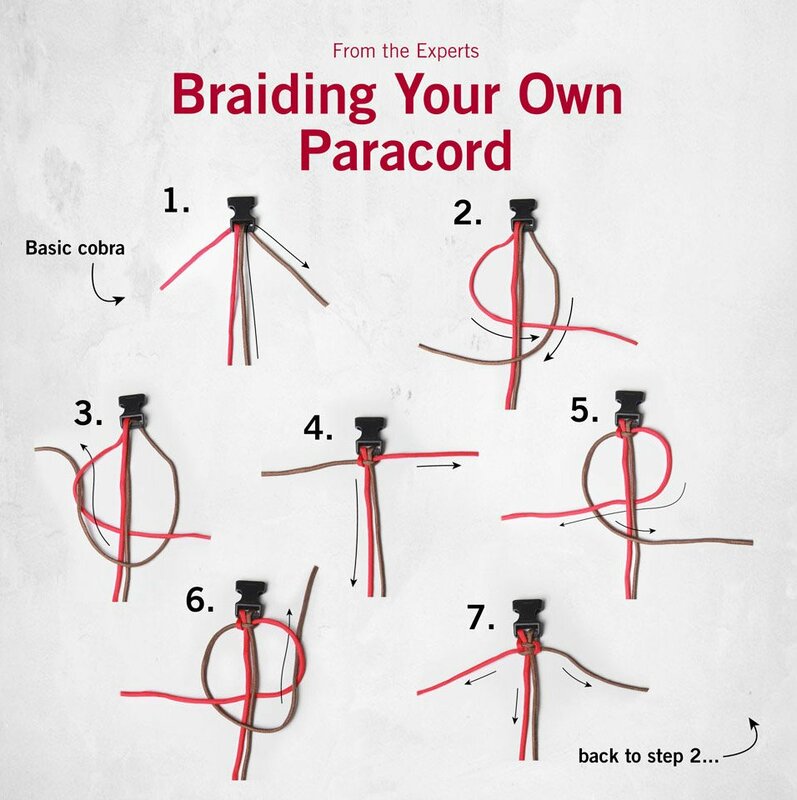 Now, it may seem like a one way street once you untie the strap, making the watch unwearable, which is not the case, as you can follow the instructions below as to how you can braid your own para cord to get back to the classic look we started with! If you are interested in getting your hands on a paracord-strapped watch of our own, then click here to take a look at our range of Victorinox I.N.O.X watches, and click here for the full Victorinox collection!